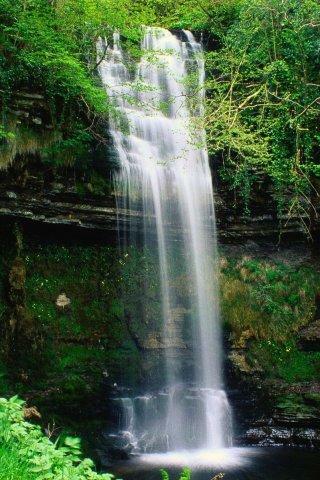 Glencar waterfall is located in Lovely Leitrim, about 8 miles north of Sligo town. By no means a huge waterfall! Its setting and charm inspired the poet W. B. Yeats in "The Stolen Child" The waterfall is beside Glencar Lake on the Sligo/Leitrim border - a most enchanting area.